Cheap Flutes - 12 Ct.
Add excitement to your next school concert! Whether they are mastering Twinkle, Twinkle, Little Star or creating their own masterpiece, kids will love this 6 note, plastic flute. 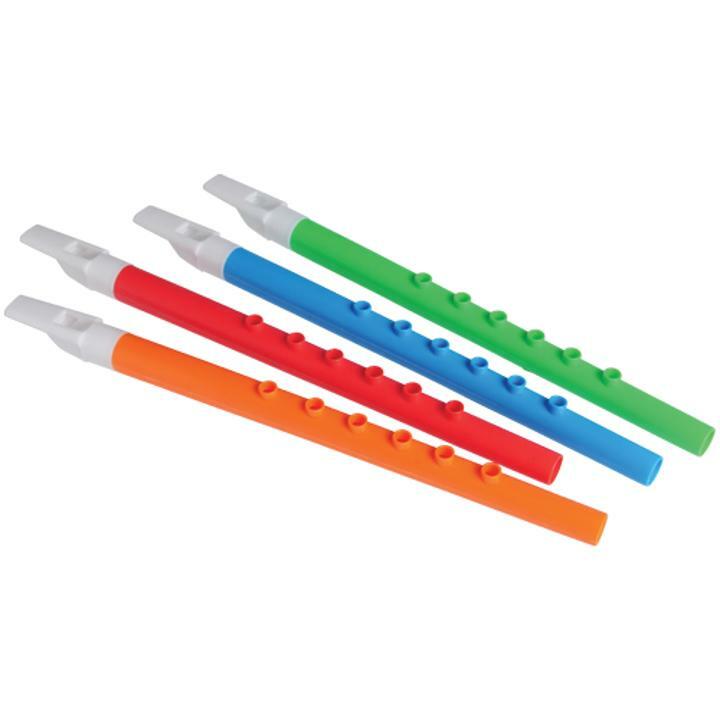 An ideal party favor giveaway, this noisemaker will be hard for them to put down. L: 6.65 in. W: 2.4 in. H: 13.45 in.